Alaska Airlines began a nonstop service between San Diego and Mexico City's Benito Juarez International Airport yesterday much to the delight the local community. San Diego is the third West Coast city to see nonstop service to Mexico's largest metropolitan city with Los Angeles and San Francisco added in August 2017. With more than 100 flights a week to Mexico from California, Alaska Airlines offers California flyers more flight options to Mexico than any other U.S. carrier. from California to the City of Palaces. 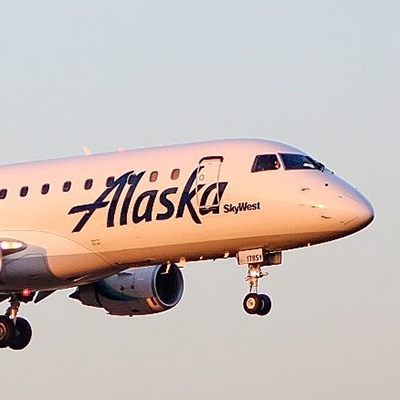 "Alaska continues the most significant network expansion in the company's 85-year history, with the addition of nonstop service between Mexico City and San Diego," said John Kirby, Alaska's vice president of capacity planning. 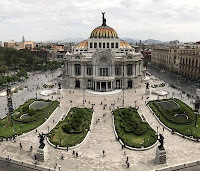 "Mexico City is a leading global cultural and financial centre, and we're pleased to offer our guests another convenient, cost-effective option to get there from Southern California." "This is great news for our city," said San Diego Mayor Kevin Faulconer. "By providing nonstop service from San Diego to Mexico City, we are creating more opportunities to promote our shared interests, attract foreign investment and increase tourism. This new direct flight is another exciting step forward that will strengthen ties with our neighbors in Mexico." The year-round, nonstop service marks the ninth destination Alaska serves to Mexico. Other destinations with service from California include Cancun, Ixtapa/Zihuantanejo, Loreto, Los Cabos, Manzanillo, Mazatlán, Puerto Vallarta and Guadalajara. Alaska began flying to Mexico in 1988. "We are excited to have this important connection between San Diego and Mexico City, and we are grateful to Alaska Airlines for being such a terrific air service partner, " said Kim Becker, president/CEO of San Diego International Airport. "With this flight, SAN is proud to offer nonstop service to 10 international markets." The Mexico City flights will utilise Embraer 175 aircraft operated by SkyWest Airlines. On-board, guests will enjoy Alaska's award-winning service, along with features to help make the most of their flight. Alaska Beyond Entertainment offers over 200 free movies and TV shows direct to customers' own devices. Other on-board amenities include a selection of food and beverage inspired by local chefs, custom leather seats with adjustable headrests and power outlets in the first class cabin. "I congratulate Alaska Airlines for providing a new opportunity for business and leisure travelers to experience the many culinary, artistic and historical landmarks in Mexico City and throughout our country. San Diegans and Mexican nationals, as part of the vibrant Cali-Baja region, will enjoy this convenient connection," said Marcela Celorio, consul general of Mexico in San Diego.